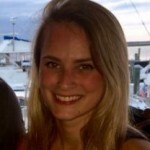 On November 2nd, I attended Tabb Group’s FinTech Festival with our CEO, Audra Tiner. 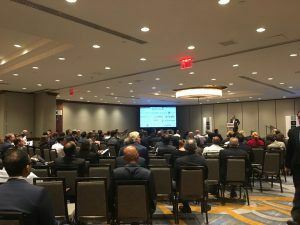 Hosted at the Hilton Midtown Hotel in New York City, the event was filled with a mixture of executives from FinTech companies, consulting firms, members of the buy-side and sell-side, along with other industry influencers and journalists. The event focused on the key ways that FinTech is impacting and disrupting the financial services industry. It concentrated on four key areas that Tabb’s FinTech practice explores in their research – cloud computing, regulatory technology (RegTech), cognitive computing /artificial intelligence, and distributed ledger technology (DLT). Following a welcoming speech from Tabb Group CEO Anthony Perrotta, analyst and FinTech Practice Lead Terry Roche provided a brief introduction of the topics that would be explored during the day, as well as the results of a survey that Tabb recently conducted with TabbForum users across these areas. Some key findings include: regarding cloud, most respondents are planning to deploy a hosted data center/private cloud model above other options. In regards to distributed ledger, 33% of respondents report having a live DLT proof-of-concept. In a surprising turn, most of their buyside respondents reported that they are not planning to implement AI solutions within the next few years. Seth Merrin, CEO and Founder of Liquidnet provided a keynote speech exploring MiFID II and why it is truly beneficial to the industry. Active management has been overtaken by passive, and he believes this is because most companies are receiving their research from the same companies. He described how MiFID II will be truly beneficial to the industry, employing an analogy comparing independent research providers to “custom-fit”, bespoke tailors. Rather than having to go to the same tailor simply because they provide everything within one package – suit, tie, shirt, shoes, or rather, research and trading execution – due to unbundling, firms are now enabled to select the best “tailors” that suit their needs and can receive better research and best execution. Seth’s presentation was followed by a keynote from Ken Marlin, Founder and Managing Partner of Marlin & Associates, who explored drivers of value and M&A in the fintech market space. 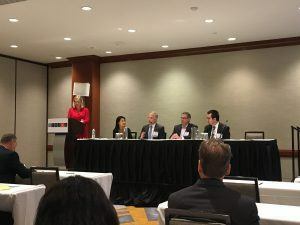 The cognitive computing panel titled “Client Profiling – Key to Client-Led Alpha,” featured – Publicis.Sapient, Google Cloud, FactSet and EZOps (hooray to our Articulate clients!) and explored how firms can take advantage of artificial intelligence and machine learning to collect and analyze proprietary data. This data can be a crucial business asset, providing insight into client behavior to assist with product creation and real-time decision support. Miguel Via, Head of XRP Markets at Ripple closed out the day with a keynote regarding the impact that blockchain can have on the antiquated global payments model, discussing why financial institutions and corporates are adopting blockchain, as well as the pain points, benefits and adoption trends. It was a well-attended event that featured exciting speakers and topics, with some very interesting observations around the state of the FinTech industry, and where it is headed in the future.